On Tuesday 25 September, Dr Lynn Robson, Director of the Visiting Student Programme at Regent’s, attended a celebration at Columbus State University to mark the 15th anniversary of its Center for Global Engagement. CSU has long-standing links with Oxford through Regent’s (and formerly, Greyfriars) and the President, Dr Chris Markwood, took the opportunity to announce a major new fund to support its students undertaking study abroad. CSU’s Spencer House offers CSU students and faculty members accommodation in North Oxford, and thanks to the generosity of the Spencer family, the Mildred Miller Fort Foundation, Dr. Dan Ross, and the First Choice Comprehensive Campaign, this new endowment will uphold the partnership between CSU and Oxford in perpetuity. 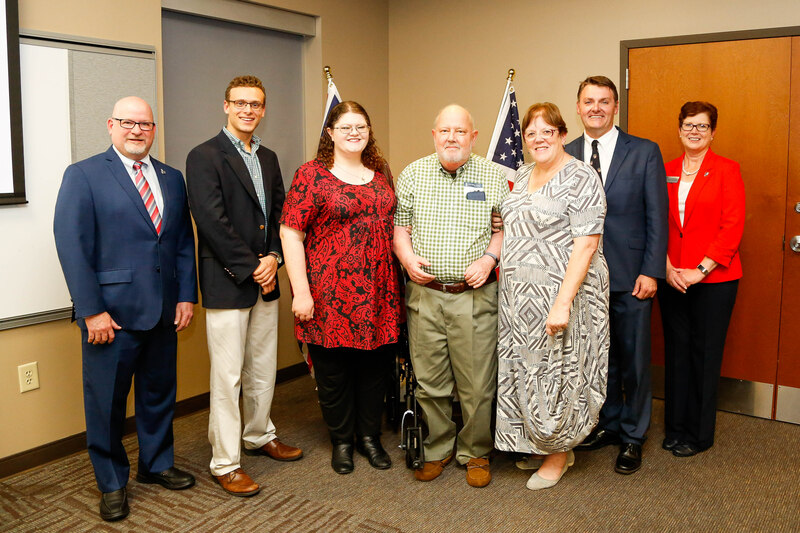 Pictured, from left to right: Dr Chris Markwood (President, CSU), Dylan Rice (alumnus, 2018-19), Kaitlyn Neill (alumna, 2016-17), Dr Dan Ross (ex-director, Oxford Program), Dr Lynn Robdon, Dr Eric Spears (Director, Center for Global Engagement), Dr Deborah Bordelon (Provost and Executive Vice President, CSU).